Ethnic "jokes." Sports mascots. Performers in blackface. Clerks following customers in stores. Passengers riding in the back of the bus. Separate drinking fountains. School bullying. Poll taxes. Separate but equal schools. Housing discrimination. Job discrimination. Burning crosses on the lawn. Lynchings. 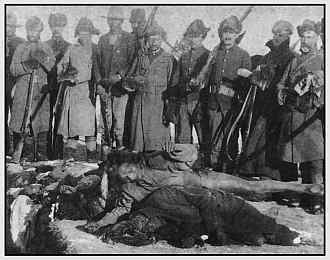 Massacres. Genocide. For anyone who thinks some of these things are harmless, let us know where the dividing line is, okay? Tell us when racism becomes serious enough for you get off your butts, stand up, and protest it.